29 | October | 2011 | Strike of Lightning! Smugglers in Texas improvising to transport Drugs! 18 wheeler loaded with Marijuana! O’Connor said his officers have undergone additional training on how to spot the nearly perfect look-alikes. Photographs provided by the Texas Department of Public Safety show 18-wheelers with duplicate logos of major companies, crammed with bales of marijuana. Another shows a truck with a Texas Department of Transportation logo spotted in Gonzales County, except it was stuffed with marijuana. “At one time, you could say there was a certain type of vehicle used. Now, it’s everything, everything imaginable,” O’Connor said. He said some have “window-dressing” such as oilfield equipment or soldiers in uniform and a patient in the back of an ambulance, but they were all imposters. Ministry of National Defense (Sedena);arrested 7, confiscated Fuel and firearms! MONTERREY, October 28 .- The Ministry of National Defense (Sedena) arrested seven people and seized about 103,000 liters of fuel and firearms during various operations in the municipalities of Hidalgo and Linares. The Department of Defense verified a claim, that the presence of armed persons in a household in the municipality of Hidalgo, six suspects, four men and two women were arrested. Those arrested were identified as Victor Hernandez Villegas, 26 years old, Cristian Sandoval Eduardo Carranza 22; Araceli Saldana Olvera, 29, Jorge Armando Hernandez Garcia, 22, and Ezekiel Miravel Reyes, 18, ​​and Maria Estrada Ricardo Trevino, 26 years old. The army confiscated five vehicles, including three which were reported as stolen, two handguns, 60 magazines, 382 cartridges, 130 doses of marijuana, six cell phones and two thousand 100 pesos. Further noted, that subsequently, in coordination with the Attorney General of the State (PGJE) and the Agency State Research, continued with the investigation of these individuals, who claimed to be members of two criminal cells (stakes) of the Zetas criminal organization. 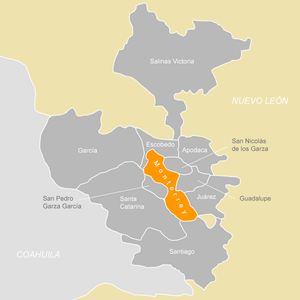 He said that the detainees engaged in illegal activities in the municipalities of Hidalgo, Salinas Victoria, Abasolo and El Carmen, working under the direct orders of ‘Burning’, the alleged driver of this criminal group in Nuevo Leon, who in turn receives direct instructions from Miguel Angel Trevino Morales, alias ‘The Z-40’. Also, the Department of Defense indicated that the criminals arrested are linked to other illegal activities such as deprivation of liberty means of kidnapping, murder of people, organized crime, possession of firearms used exclusively by the Mexican army and air force and vehicle theft. He said in a second operation, by means of military intelligence, they were able to locate on a stretch of highway known as Hualahuises-Montemorelos, an underground fuel outlet, stopping at the place of Miguel Angel Garza Lopez, 43 years old. The army seized three tractor-trailer tank types, in different capacities with approximately 103 thousand liters of fuel. They secured and pointed out that the detainees were handed over to the authorities.